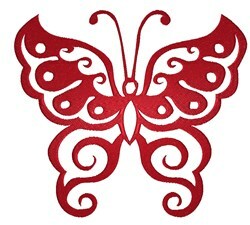 Personalize your project with this beautiful red butterfly swirl design. This will look great on t-shirts, sweaters, throw pillows, tote bags and more. 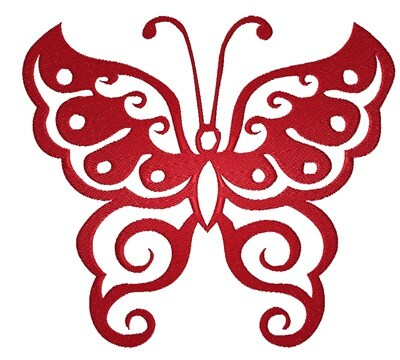 King Graphics is happy to present Red Butterfly Swirl machine embroidery design which has 15632 stitches and is [144.78 mm x 129.29 mm] large. If you would like to view more embroidery patterns please search on our embroidery designs page.